A line graph is used to show data over a period of time. 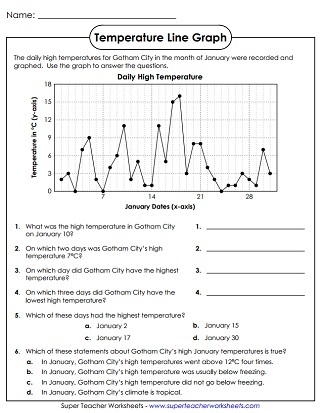 We have a collection of printable line graph worksheets for you to use with your students. A line graph of air temperature as it changes over a 1-day period. This worksheet uses the Fahrenheit scale. A line graph shows how air temperature changes during a 1-day period. This graph uses the Celsius temperature scale. 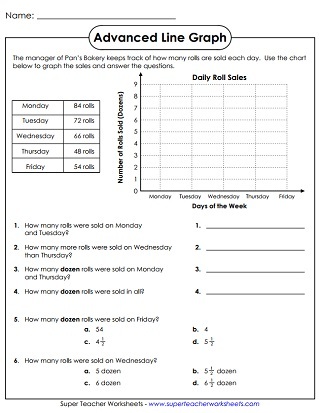 Print these line plot worksheets to teach frequency distribution of numbers.